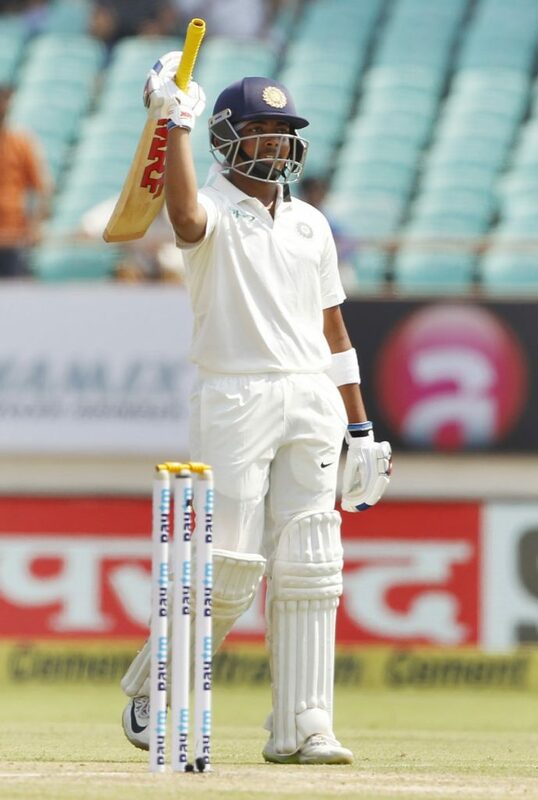 Prithvi Shaw scored a scintillating test century on his debut, as India ended Day 1 of the first test match at Rajkot on 364/4 in 89 overs. After winning the toss and electing to bat, the home side started terribly by losing Lokesh Rahul, who was out LBW to Shannon Gabriel in the first over for a duck. Shaw and the reliable Cheteshwar Pujara batted magnificently as they added 206 runs for the second wicket, before the debutant Sherman Lewis claimed his maiden wicket by removing Pujara who was caught by wicketkeeper Shane Dowrich for 86 runs. The 18 year old teenager immediately followed soon for a well made 134 runs, was caught and bowled to Devendra Bishoo just before tea. His innings comprised of 19 fours. He thereby became the youngest Indian to score a century on his debut. The visitors were hampered by injuries as they were without their captain Jason Holder and Alzarri Joseph. Kraigg Brathwaite led the side in the absence of Holder. India skipper Virat Kohli and vice captain Ajinkya Rahane stitched together a 105 run stand for the fourth wicket before Rahane fell to Roston Chase, caught behind by Dowrich for a scratchy 41. SportsAnalyst.in has Rahane as one of the players who might miss out on a spot at the World Cup, and decisions like the one he took today- opting somewhat bizarrely for a review, despite noise being evident, will not help his cause. Both of India’s reviews today were poor- the first by Rahul, and the other, as mentioned above, by Rahane. Kohli (72*) and dashing wicketkeeper batsman Rishabh Pant (17)* saw the day through without any further alarms.